As Korea's first tire company, Hankook has a proud history of providing excellent tires for a variety of uses. Over the past 70 years, Hankook has slowly grown from the premier tire company in South Korea to a global force that rivals European and American tire manufacturers. If you are shopping for Hankook tires online, you will find a nice selection below from Tires By Web. Hankook has a wide range of tires available for everything from performance to light-duty trucks. At Tires By Web, we offer a large selection for those who are looking to enjoy the low Hankook tire prices and excellent craftsmanship from this manufacturer. For drivers who have light trucks or SUVs, Hankook's Dynapro line is a great fit. These tires are available in all-season and all-terrain options, provide superior grip and exceptional handling, and even have off-road and highway options available. Drivers with trucks and SUVs may also like the high-performance and all-season options with the Ventus line. In addition, Hankook offers tires designed specifically for the needs of vans. The Radial line has deep tread for excellent handling for larger vehicles. 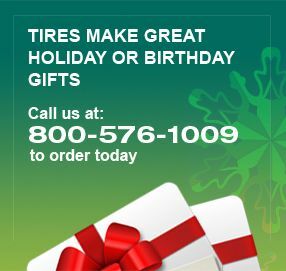 These tires also have comfort in mind, delivering a smooth ride to drivers and passengers alike. If performance is what you are looking for, the Ventus tire line is a great fit. With models for trucks, SUVs and cars, Ventus is particularly designed for performance and all-season driving. 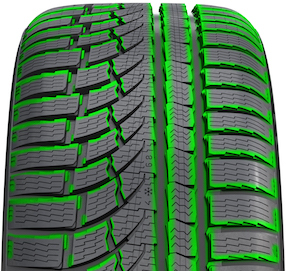 Unique tread designs help funnel moisture away from the tire to increase traction even in poor driving conditions. Hankook has a number of original equipment tires for Hyundai vehicles. If you drive a Hyundai, and want to ensure the tire is designed specifically for your vehicle, then this line is the right choice for you. Finally, if you drive in winter weather conditions regularly, you may wish to upgrade to a winter tire. Here, Hankook has an option as well: The I*Pike tires, which can be studded, provide strong braking power in even the most difficult driving conditions. For both wet and frozen roads, I*Pike tires have a great reputation. For those shopping for Hankook tires online, Tires By Web has all of the selection you want at the discount price you need. With Tires By Web, you can compare various Hankook tires conveniently, and then purchase the tire that works best for your needs easily from home. We never charge shipping and handling, so you can buy Hankook tires online at one of the lowest prices available. Take some time to browse our available selection online. If you aren't sure which product is right for you, our customer service team is here to help.